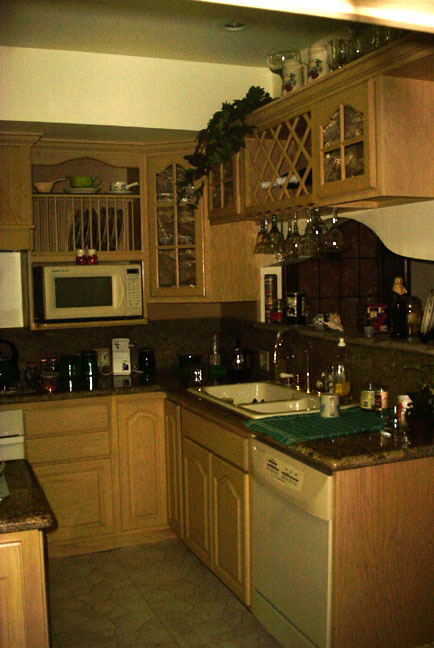 Click on any of these images to zoom in for a closer look! 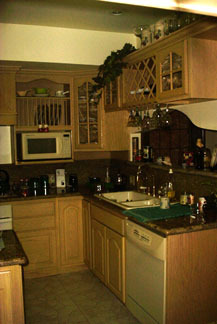 A Wine and Stem Rack above the Sink, and Open Shelving that circles the Kitchen outside of the Soffit. 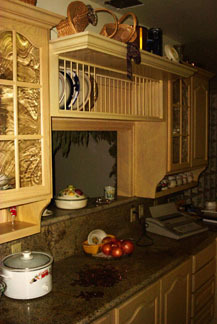 The Plate Rack set just above the Pass-through to the Dining Area with a T.V. 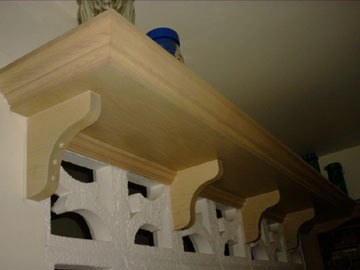 Shelf Step-out above. 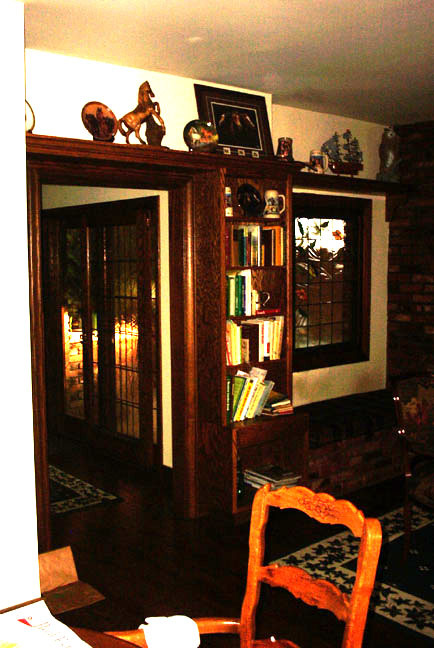 The Glass set in these Doors is beautiful. A Veneer over the Hood Assembly to match the new Cabinetry. 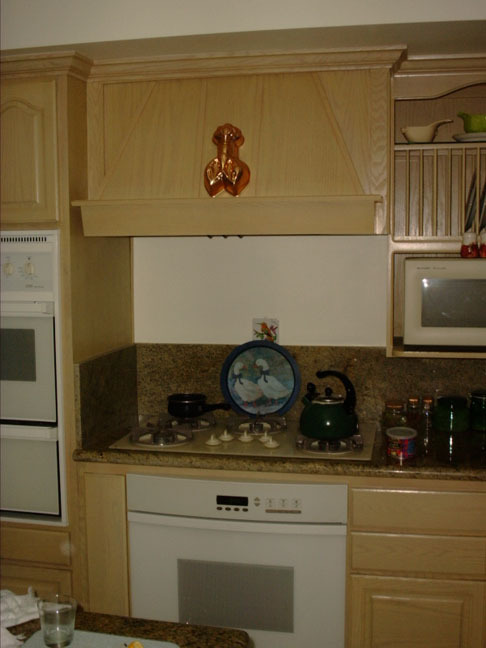 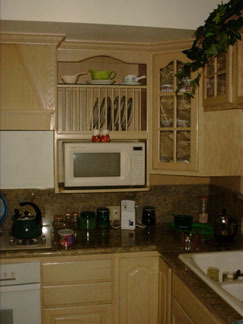 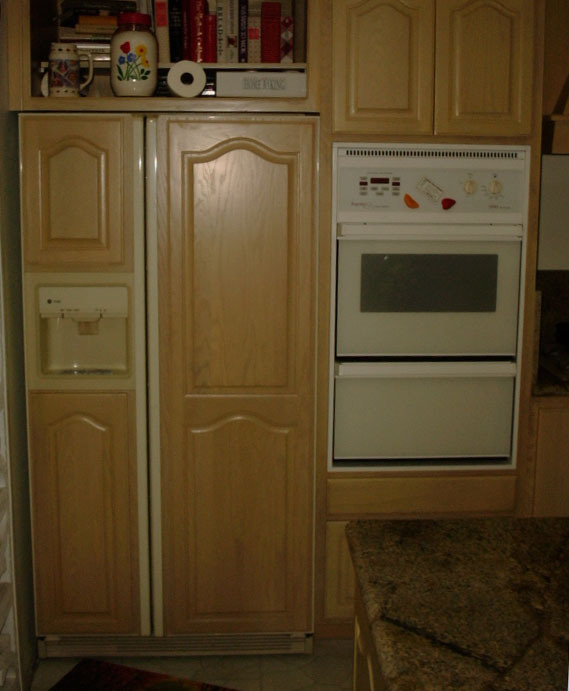 A Plate Rack above a Microwave Niche that is lowered to accomodate the Cook. Panels fit to the Fridge and an Open Niche above..
A Shelf with Corbels over a sentimental Partition in the home.. 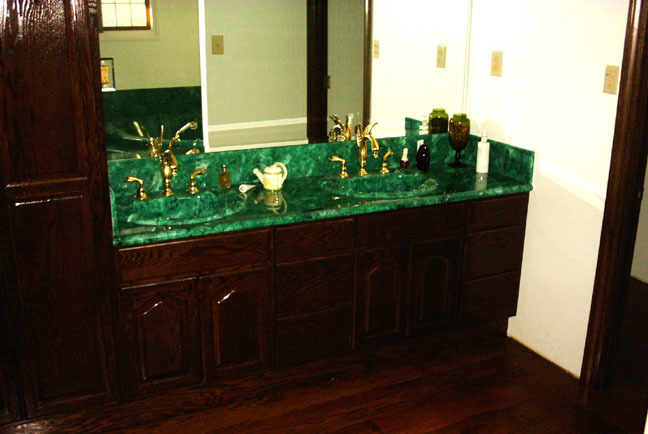 Dark stained Oak Cabinetry with this Double Bowl 'Louvre' setup with a Six Inch Backsplash. 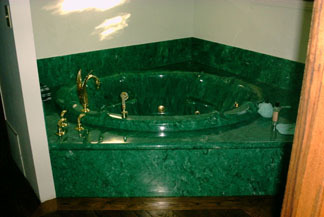 An Emerald colored Frit on a two-seated 'Louvre' tub with an eight-jet System. A Reading Niche beside the Fireplace that surrounds this Opening.